£75.00 non Refundable Deposit payable on booking, Balance payable in full 1 month before the commencement of your stay. The Price includes Gas, water, Electricity and Bedding. It does not include Parkdean Entertainment Passes, these can be purchased separately from reception. Any damages or Breakages must be paid for. 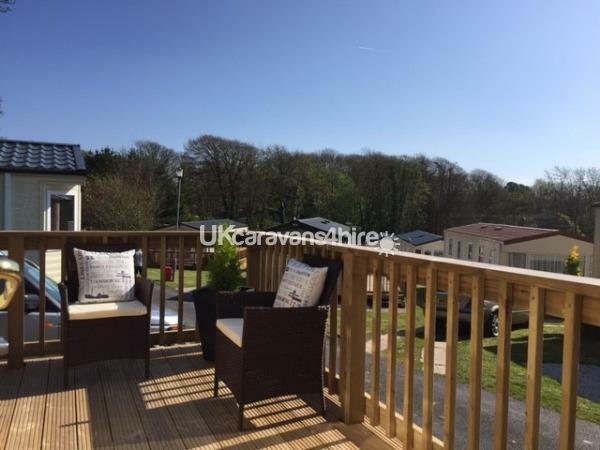 The Retreat, is a luxury, Privately owned 2 Bedroom Static Caravan located on the Parkdean site at St Minver nr Rock In Cornwall. 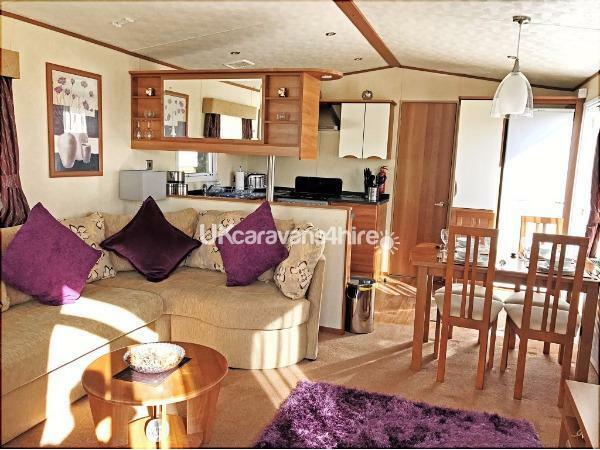 The Caravan Boasts, Double Glazing and Gas Central Heating, and occupies a prime position on the site backing onto Trees and Natural Hedgerow. 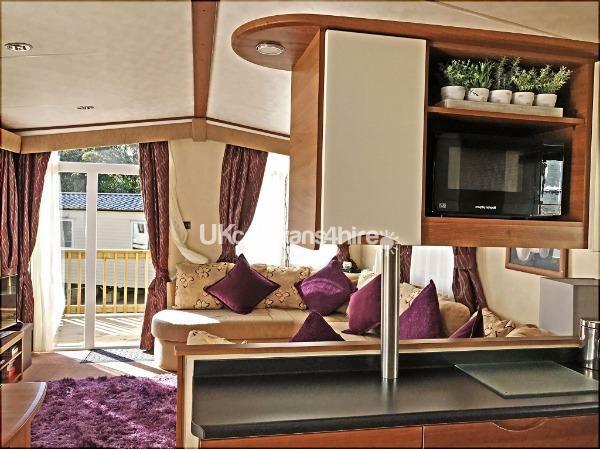 The Lounge has a Double glazed door onto front Decking, Comfortable Sofa's with pull out bed, Flat screen TV and DVD Player. 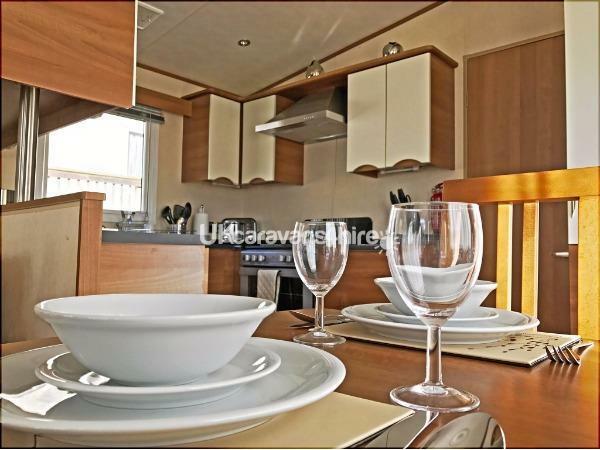 Kitchen/Diner with Gas Cooker, Microwave and Fridge Freezer. 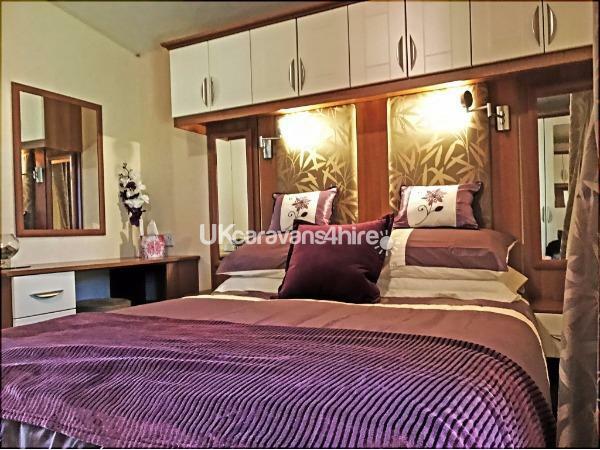 Main Bedroom has a Double Bed, fitted Wardrobes, over bed Cupboards, Flat screen TV and En-suite WC and Wash Basin. 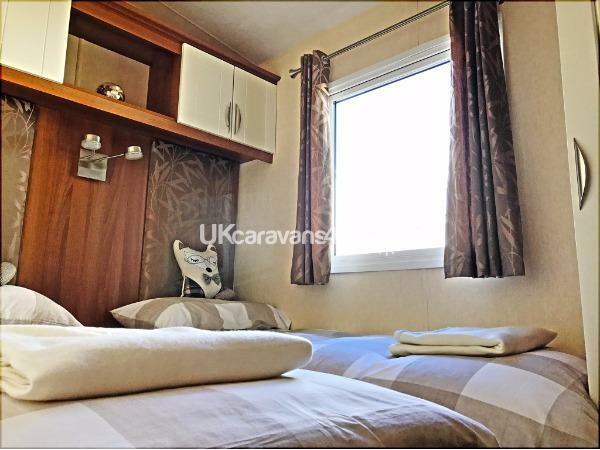 The 2nd Bedroom has 2 Single beds and fitted cupboards. 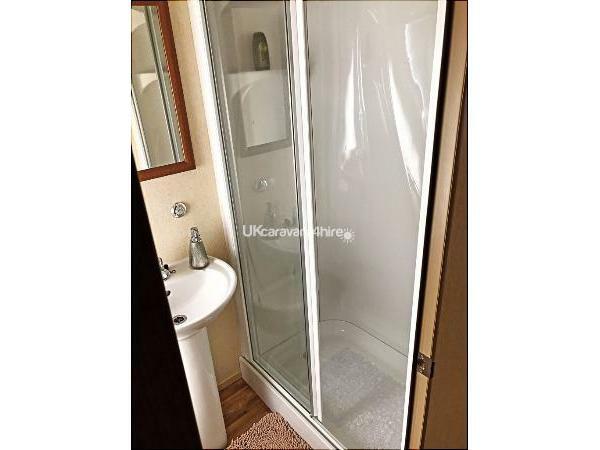 Shower Room with fitted shower cubicle, WC and wash Basin. 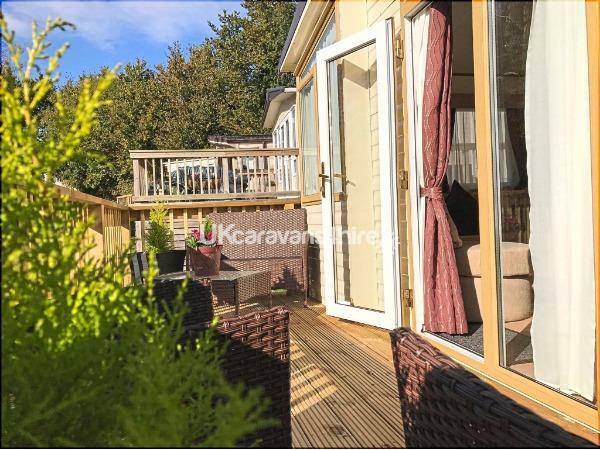 Outside there is ample wooden Decking to both the front and side, with Tables and Chairs and off road parking for one vehicle. The Site enjoys many excellent Facilities including, Indoor Heated Swimming Pool, Bar with Entertainment, Restaurant with take away facilities, Amusements, outdoor play area, Crazy Golf and Woodland Walks, please note Entertainment passes are required for some of the facilities and available separately from Reception. 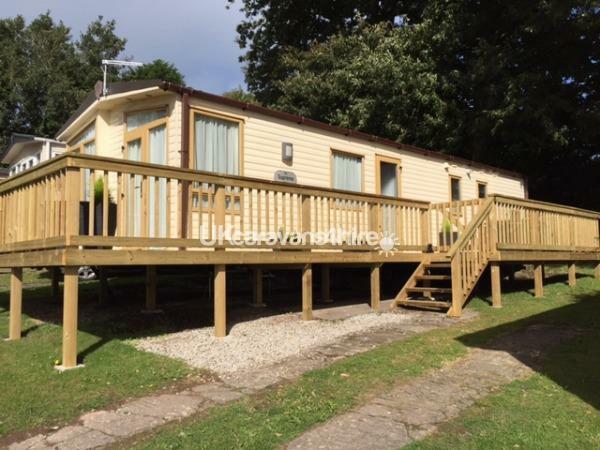 Located in St Minver near Rock, it is well maintained and set in a Beautiful wooded area. 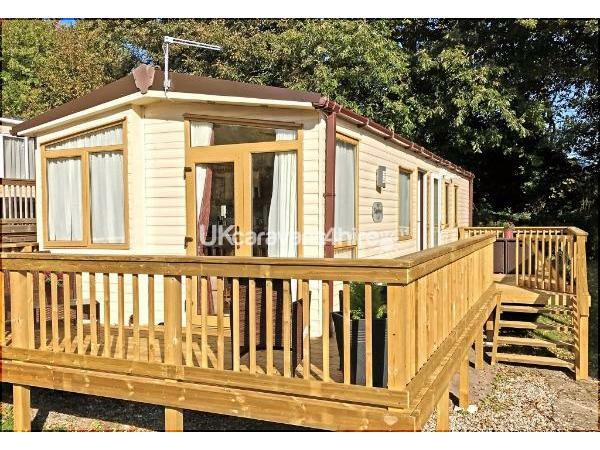 The Retreat sleeps up to 6 people, and is now available for the 2017 Season.